Richard Glassman Selected as Power Player for Business Litigation & Employment - Glassman, Wyatt, Tuttle, and Cox, P. C.
Senior Shareholder Richard Glassman has been included in the Who’s Who in Memphis Law for Business Litigation & Employment, The Power Players 2019, as selected and published by Memphis Magazine’s Inside Memphis Business. The honor explains that in the grayscale world of business law, those in need should select someone who can discern what victory is and how to achieve it. Inside Memphis Business selected attorneys for its Power Players in Business Litigation by looking at which top local lawyer was needed when a client needs to go to trial or argue before a judge; who would be the one person needed when you wade into a legal battle; and who you pray you never find your opposite in a court of law. Richard Glassman, a lifelong Memphian, is the Senior Shareholder and President of Glassman, Wyatt, Tuttle & Cox, P. C. Since 1972, Mr. Glassman has represented clients throughout the State of Tennessee and beyond. Richard has consistently earned honors among his peers as one of the region’s finest trial lawyers, having tried more than 250 jury trials across the southeast. 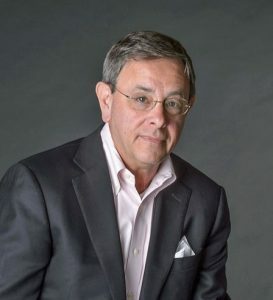 He has achieved a multitude of accomplishments over his career spanning more than four decades, including being AV-rated, a Board Certified Pretrial and Trial Specialist and a member of the American Board of Trial Advocates, and a 2014 Memphis Magazine Top Lawyers of the Mid-South, as chosen by other attorneys. Richard is also a Fellow in the Litigation Counsel of America (a by-invitation association of less than 1/2 of 1% of lawyers in the United States to promote superior advocacy and ethical standards). Richard previously served as an Adjunct Professor of Law at the University of Memphis School of Law where he taught a course on Insurance Law.